Now that you have your back-to-school ootd in order, it’s time to get ready for your first big event of the season: The Homecoming! It’s a bit less formal than prom, but I'm sure you must all be ready to put the homecoming queen competition behind you now. Before all that, there's one more important thing we need to discuss: The Homecoming Dresses. Put on the full look, including your formal dress or cocktail gown, your shoes, and all of your accessories to complete the ensemble. Make sure you're feeling confident and happy with the overall look of your party outfit from head to toe. Speaking of those outfit, make sure you that it is made from a superior quality fabric so that it will stay in place as you dance the night away with wild abandonment. It’s really nice to have a scene stealer dress that will instantly make you the center of attention of everybody -- I believe it's all in the dress. You don’t have to spend a fortune to shine in a gorgeous dress at the homecoming ball. 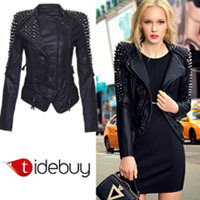 At prices you can afford, you can order online at Dressofgirl. You will find all of these current popular homecoming dress trends at their website, whether you are looking for a classic long formal evening gown or a cute short prom dress, a extravagant wedding or for any special occasions by the top dress designers. Why don’t you take a closer look at all the cute homecoming dresses on Dressofgirl? I've always been a fan of short dresses for galas, love the soft pink ones! You picked such adorable dresses! Such a beautiful collection of homecoming dress you have shared here. I really like it. You can purchase Red Homecoming Dresses in numerous range by visiting Sposa Dresses.